It’s time to think big. There was a time when mobile phones were shrinking and the size of televisions remained stagnant. Not anymore. Now we have giant phablets and monster TV screens. So what’s it like living with one of these living room monsters. We wanted to try out the Samsung UE65NU8500. As the name suggests, it is 65 inches corner to diagonal corner. Now that’s actually pretty darn big. We have already moved from the sort of standard 32 inch, through 42 inch, 46, and now 55. So why does the Samsung UE65NU8500 look sooo much bigger? It is a baffler as the bezels around each side are no greater than around 1cm. Before we delve into just how great this curved behemoth is, a warning that I am still paying for. On the packaging and on delivery notices, it says this is a two man job. Believe me, it is. OK, I did eventually get it out of the giant box, screwed on the ultra straight forward stand and get it on the TV unit, but I majorly pulled an elbow muscle that still has restricted movement a week later. But it is my fault. The TV is not actually that heavy at 26.3kg, but it is large and cumbersome, so help is a first class idea. Once plugged in, the setup is done through a Samsung app on your phone called Smart Things. I can only assume there was a way of doing it manually, but why bother when the users of this television all have Samsung mobiles anyway. I’m sure that there will be people, like the other generations that want a huge television but aren’t quite up to scratch with their mobile smart phone technology, so the TV can cater for those audiences too. Literally a few moments of setup menus later, I was enjoying 65 inches of World Cup glory. The colours are brilliant, but this is quite expensive at the moment as it is fresh out – Currys has it bouncing around the £2,000 mark. On the price, I have noticed that sets with four HMDIs are much more expensive. Sadly, I do need four. There are some qualms with the picture quality however, and it was only realised once my son was sitting in my usual spot. The viewing angles on this curved beast aren’t quite what I was expecting. Sitting at an angle, colours almost looked muted, and the brightness and vividness of this television weren’t up to scratch. I almost shunned HDR content as being rubbish before I sat back in my usual seat. 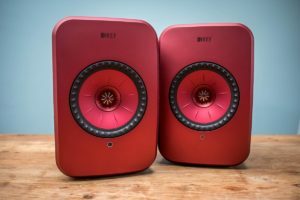 The Samsung UE65NU8500 has created a major stir in a way I would never have expected – the sound. I have it plugged into the same 5.1 surround system from Samsung that I bought on eBay forever ago using an optical cable. It’s nice and sounds fine. Plug this UE65NU8500 in, and the sound literally goes through the roof. I have plugged everything in the usual way, but the quality, volume level and separation are mind blowing. I may not give this TV back. I watched the British Grand Prix like never before, the World Cup sounded glorious and the new Blade Runner movie on Virgin Media was simply out of this world. And it was only on half volume. Even Archer on Netflix played through a NUC had a new depth. Plus 65 inches of Lana Kane was very entertaining. So let’s have some tech stuff now before we get too far off point. It is a Curved Dynamic Crystal Colour Ultra HD certified HDR 1000 Smart 4K TV with a resolution of 3840×2160 and voice interaction. Trying this was surprising, as I’ve not had much luck with voice activated products in the past. The things you can say are pretty standard, from what’s the weather like today, search for particular content on YouTube, right through to set the brightness to a particular number. There were times when searching for things like model numbers of products that the speech recognition got confused, like when I said Samsung 65NU8500, but for the most part, it worked well. Of course, you can also mirror your phone or other mobile device like a laptop or tablet, there is WiFi, loads of apps, two USBs, Ethernet, optical, aerial, and so on. Forza 7 on the Xbox One looks and sounds better than before with the 55 inch set, and with the inclusion of the HDR functionality, it just exploded at me. Things didn’t change a huge amount, but knowing the game well, I noticed details that weren’t really there before like the clarity of other cars’ headlights and dirt at the side of the track. For some reason though, the console takes an age to start up. It’s almost like the Xbox One is saying: “Whaaa?” as it realises during its negotiation and handshake with the Samsung UE65NU8500 the amount of screen real estate it is suddenly required to fill. Picture wise, there are dynamic, stand natural movie pre-sets. Movie still makes it all look too gloomy, in my option, with the rest supplying varying brightness. I prefer dynamic but in a darkened room, the others can be easier on some eyes. So there we are – can’t see why you would not buy one of these – there is no such thing as a screen that’s too big, no matter what sort of rooms it is going in. If it fits, it should sits. The price may be off-putting, but Samsung has similar quality panels in their sets for less, if you can do without that extra HDMI. And remember, that sound. It will blow the windows out hooked up to the right system. Your neighbours will love it.